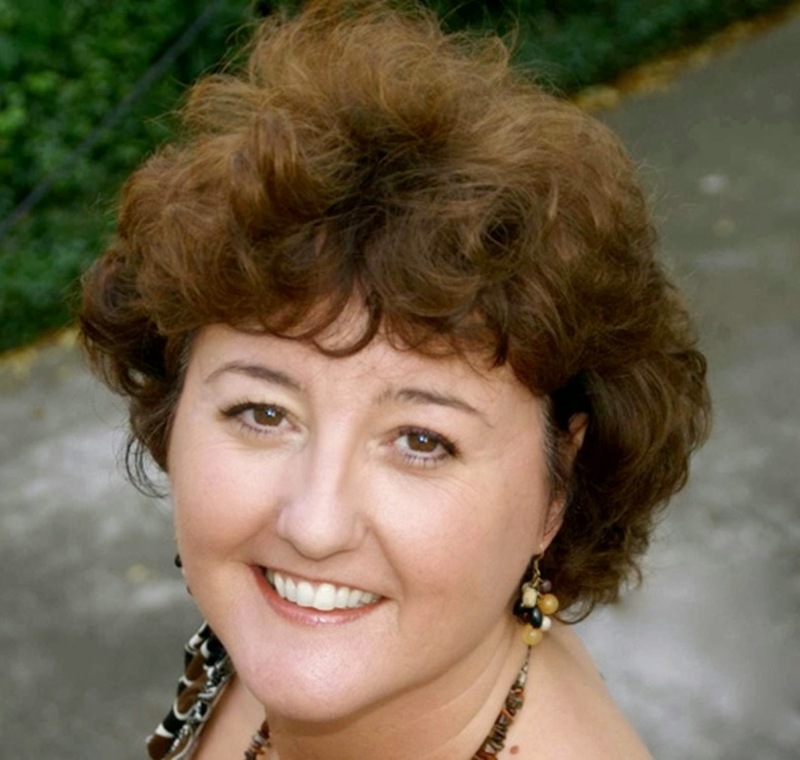 It is my pleasure to welcome Jacki Delecki to the salon today to discuss the challenges of translating her Regency novel into the audio format. As a very keen fan of audiobooks, I was fascinated to learn more. 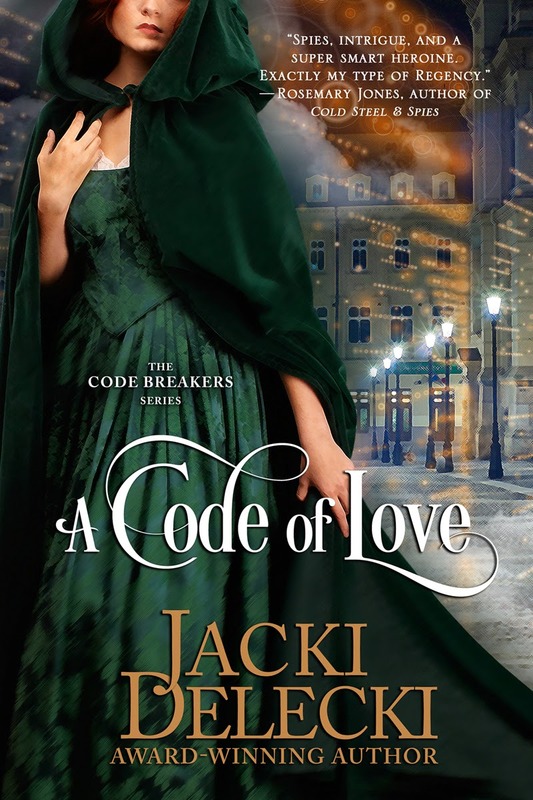 Jacki has offered three free audiobook downloads of A Code of Love for readers; to enter, all you had to do was leave your email address in the comments or send me a message on Facebook or Twitter. I have chosen three winners will be chosen at random from my lovely new KittyKnits hat today (12th September) and offer my sincere congratulations to Dee Feagin, Jemille de Nimes-Vertes and Swappster. Jacki will be in touch regarding your prizes soon. Thank you everyone who entered the contest; congratulations to the winners and commiserations to those who weren't chosen from the hat this time! For most readers, technology has changed not only how they find and buy books, but how they experience them. Online vendors such as Amazon and Barnes and Noble make it easy and convenient to buy the latest releases, while blogger and reviewer sites aid readers in discovering new authors to enjoy. And while many readers have made the jump to e-readers like Kindle and Nook, I believe a significant percentage have yet to discover the convenience, accessibility and joys of audiobooks. My firsthand experience converting one of my print books to audio really opened my eyes to the differences between print books and audiobooks. I’d like to share some of what I learned. A few months ago I was invited to do an audio version of my book, "A Code of Love." I enthusiastically accepted the offer, never anticipating how different it would be to create a book based on sound instead of written words. Not only was the creative process different, but I also discovered enjoying books on audio offers an entirely different experience as compared to reading them. Before delving into the creative side of audio book production, let me tell you a little bit about the technical side. ACX is the DIY branch of Amazon Audible. ACX provides support services for authors who want to release their book in audio format, serving as an interface of sorts. Authors can audition narrators and hire producers for assistance, or you can do everything yourself. Once a narrator is selected, the recording process starts. That's a lot of listening and then collaborating with the voice actor to produce a finished product. Now for a look at some of the creative challenges. Written books and audio books share some similarities. Authors spend a lot of time constructing sentences and choosing words to inspire specific moods and emotions. And using the wrong pacing or inconsistent characterization can ruin any book, written or audio. When readers listen to a story, the words still matter, but the delivery format changes. Instead of being distracted by misspellings or typos as in written books, readers will be pulled out of an audio story if the narrator stumbles over words or doesn't match the tone of the tale. "A Code of Love" is a romantic mystery set in Regency England. Both the hero and the heroine are members of the privileged class, meaning they are intelligent, cultured and subject to societal standards. It wasn't enough to hire anyone with a British accent to narrate my book. I wanted—no, needed—someone who sounded like an upper-crust Brit. And because it's a story of scandal, intrigue and danger, I required a narrator capable of infusing this drama into her voice. I eventually hired Pearl Hewitt, a British voice actor based in Texas. Not only did she "sound" perfect, but her experience in producing audio books helped to shorten my own learning curve. As Pearl recorded each chapter, I would carefully listen and give approval or ask for modifications. Eventually we worked our way through the entire book. Once the book was finished and I finally sat down to listen to the story from start to finish, I found myself drawn into the story like never before. Pearl’s vocal inflections added depth and dimension to my characters, enriching my mental vision of them. I also found myself filling in sounds that were missing from the soundtrack, but which would have been heard in Regency London: the clop of horses’ hooves on cobblestone, the creak of saddles and buggies, the calls and shouts from street merchants and vendors. It was pretty amazing to "hear" Lady Henrietta Harcourt and Lord Cordelier Rathbourne. I'm happy to report they sounded exactly as I had imagined. As both an author and a reader, I hope my perspective will convenience you to give audiobooks a try. Visit my website to enjoy an audio excerpt or the book trailer for "A Code of Love” and let me know what you hear. 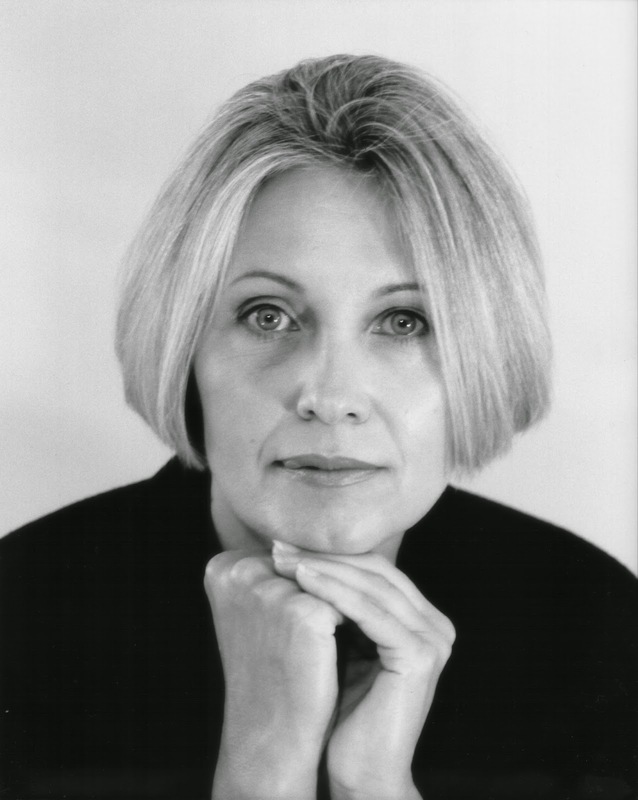 Author Bio: Heart-pounding adventure filled with danger, intrigue and romance from Jacki Delecki, award-winning author of the Regency suspense series "The Code Breakers" and the contemporary mystery series "Grayce Walters." Visit www.JackiDelecki.com to learn more about Jacki and sign-up for her newsletter. Follow her on Facebook (Jacki Delecki Author) and Twitter (@jackidelecki). Thank you for such an interesting post, Jacki. Audio books aren't something I've really thought much about but reading your post has definitely peeked my interest. I would love to be entered into the Giveaway and my email address is carolcork@live.co.uk. Thank you - good luck! Your name is in the lovely woolly hat! I was surprised at how different the story "felt" when I listened to the audio version, too! Thanks for visiting and good luck! Carol, creating the audiobook was an eye-opening experience but so much fun! Good luck! Jess, you sound like a real audiobook fan. Have you ever listened to and read the same book? Did it make a difference? Thanks for commenting! In the past few years I've begun to listen to audiobooks while I quilt and after hours and hours of listening, I congratulate you on the recognition of how critical the narrator voice, pacing, style and pronunciation can be. I'd be thrilled if I won a copy of your book and look forward to listening to a narrator who is new to me. My addy is quiltlady44-bks2@yahoo.com . You're in the hat, good luck! As a resident of Atlanta traffic, I am a slave to audio books! They keep me from going medieval on moronic drivers! Your name goes into the fabulous rainbow hat - good luck! Dee, you pointed out one of the advantages of audiobooks that I neglected to mention - the ability to enjoy a story while doing other tasks. Thanks for sharing your experience with audiobooks. Jemille, what a great distraction! Good luck to you! I'm not a fan of email addresses being made public lime this, is it mentioned somewhere? Do entrants know they are going public? I can't wait for your novel! I invited people to enter via the comments after consulting with Jacki's representative on her preferred method and seeing this approach used elsewhere; I've also offered the alternative of contacting me via Facebook or Twitter if people would prefer that approach instead. I'm jumping into audio books and LOVING it! I've found some fantastic narrators with Owen McCuen and Marcus Hyde. Both of them brought my characters to life and perfected the dialogue so that I sat in awe. Very happy to find ACX and both of these guys. You're in the rainbow hat! Good luck! Into the hat you go! Wonderful...put me in that hat..sounds fabulous..